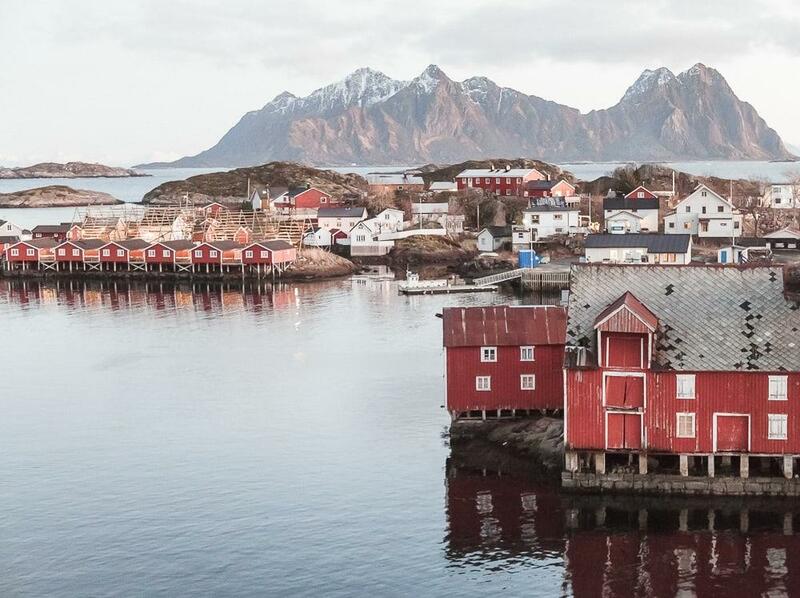 Right, we’re talking about those fairytale islands in Northern Norway with all the mountains and adorable red fishing houses. 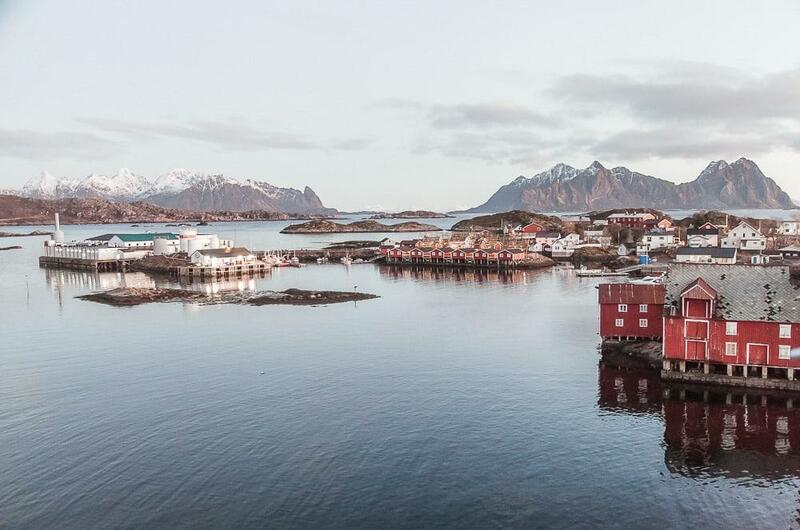 Lofoten has always been well known for its painting-come-to-life landscapes amongst Norwegians, but in the past few years the islands’ popularity has blown up on an international scale. 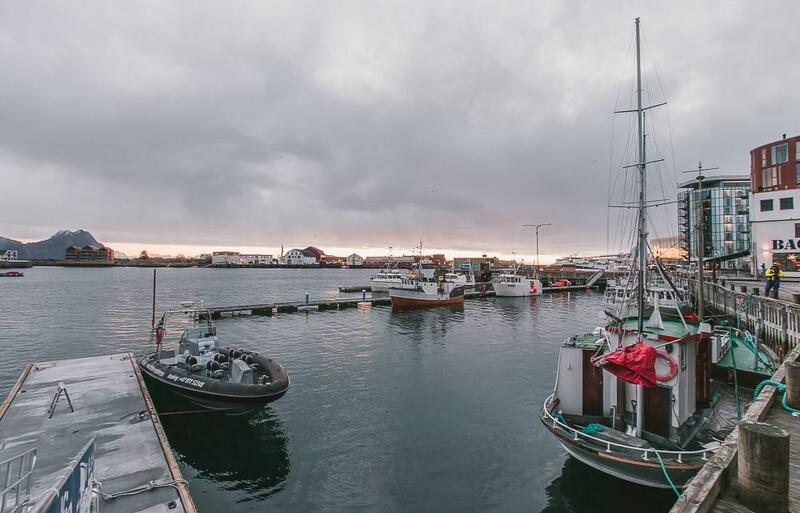 But I’ve been impressed to see that that Lofoten has responded to its newfound fame with enthusiasm and – luckily for us tourists – so many cool new places to stay and fun activities to take part in. 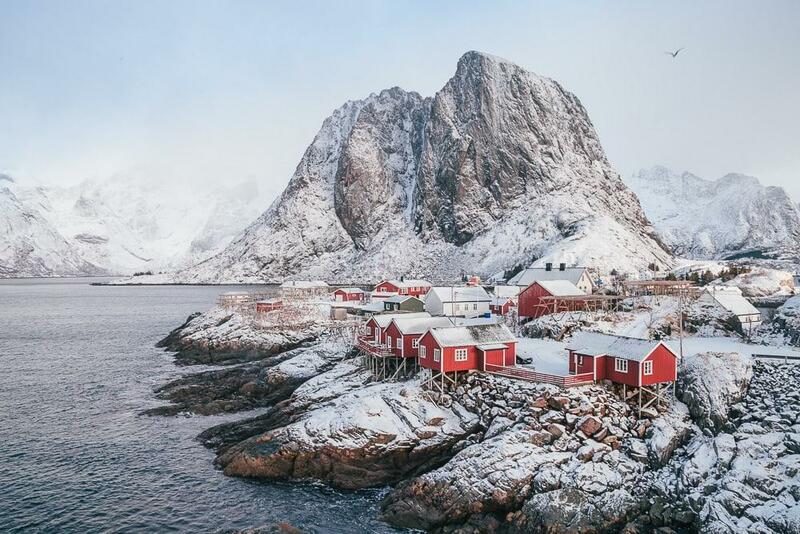 If you’re looking for a beautiful place to visit in Norway with tons of unique activities on offer, Lofoten is your place! 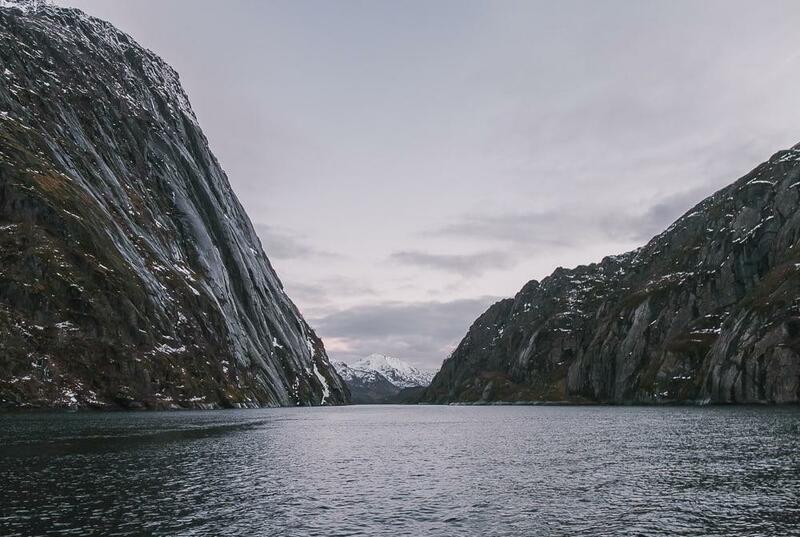 And perhaps this is a good time to add a short caveat: yes, it’s totally possible to wild camp and hike for free in Norway, but Lofoten isn’t the place for that. Lofoten receives a lot of visitors (especially in the summer months), so it doesn’t really have the space for wild campers. 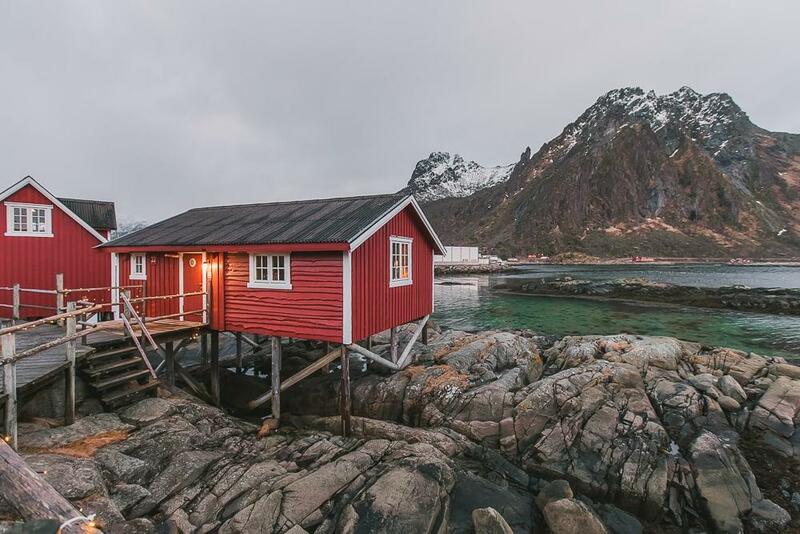 But also, of all the places you’re going to visit in Norway, Lofoten has probably the coolest accommodation and activity options (you can even stay in those gorgeous red fishing cabins!). 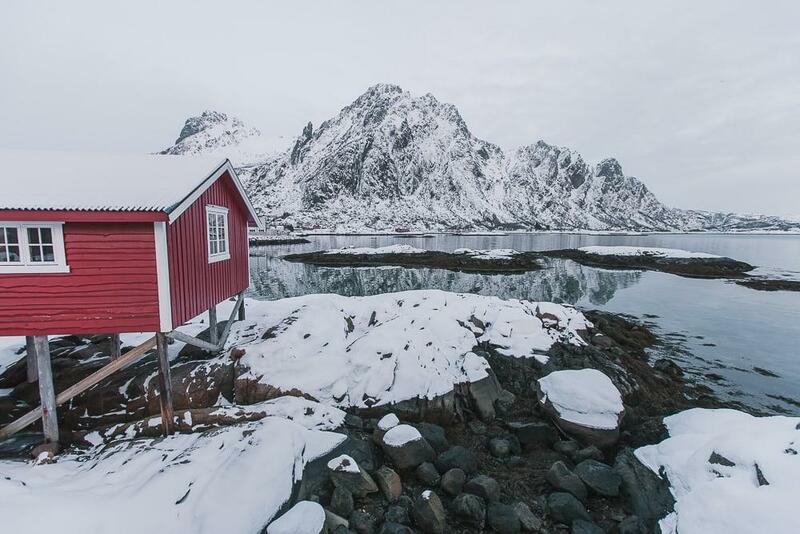 So save your tents for Norway’s more remote areas where it’s hard to find a room, and instead take advantage of all the unique places to stay and tours and activities offered in Lofoten. You can read about a past winter trip to Lofoten I took here and a summer Lofoten trip here, but this time I decided to make Svolvær my first stop in Lofoten. 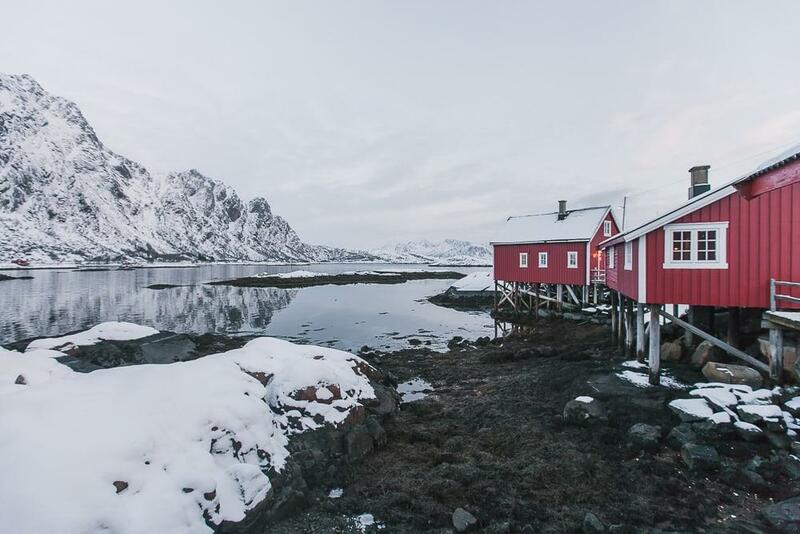 And while there I stayed at Svinøya Rorbuer, which might well be my new favorite place to stay on Lofoten. 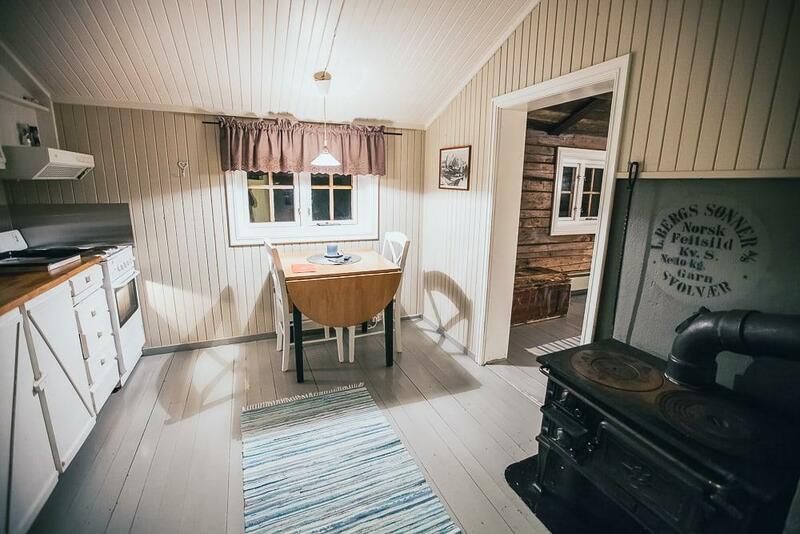 At Svinøya you can stay in an original rorbu, which are cabins used by fishermen. 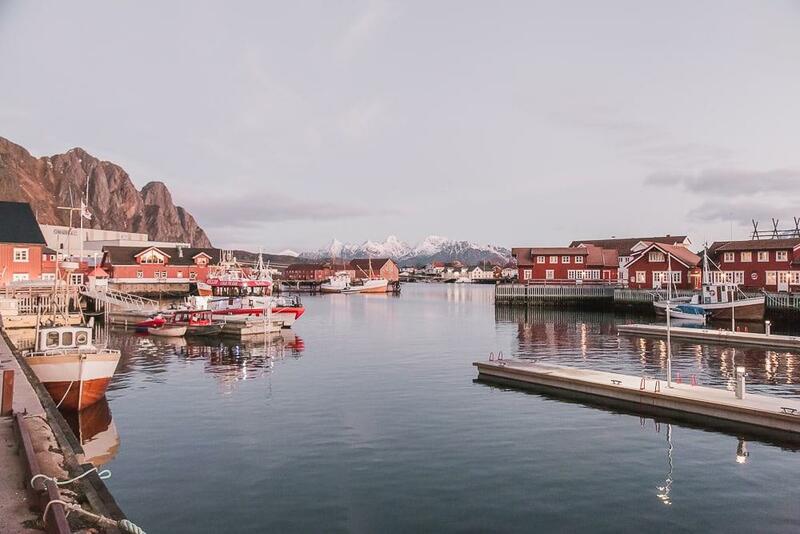 They’re right on the edge of the water, with views of Svolvær’s most beautiful peaks on one side and the open sea on the other. 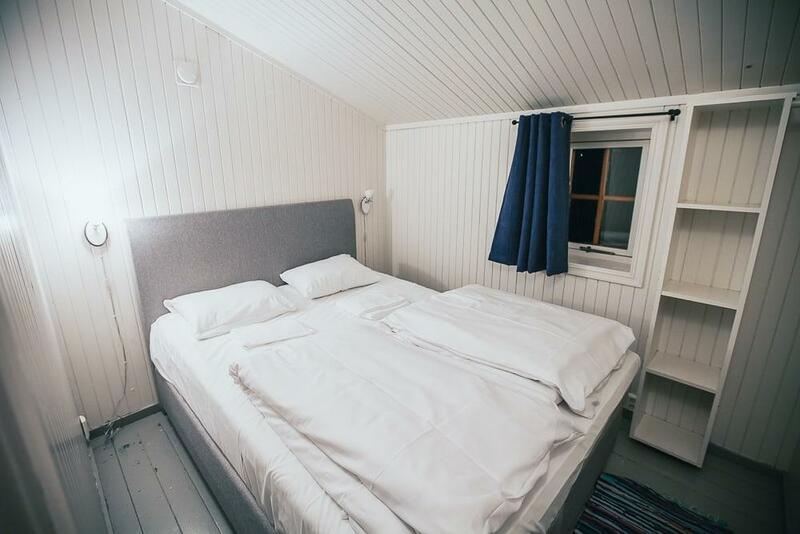 And they’re fitted with kitchens, so they’d make a perfect base if you want to stay there for your entire time on Lofoten. 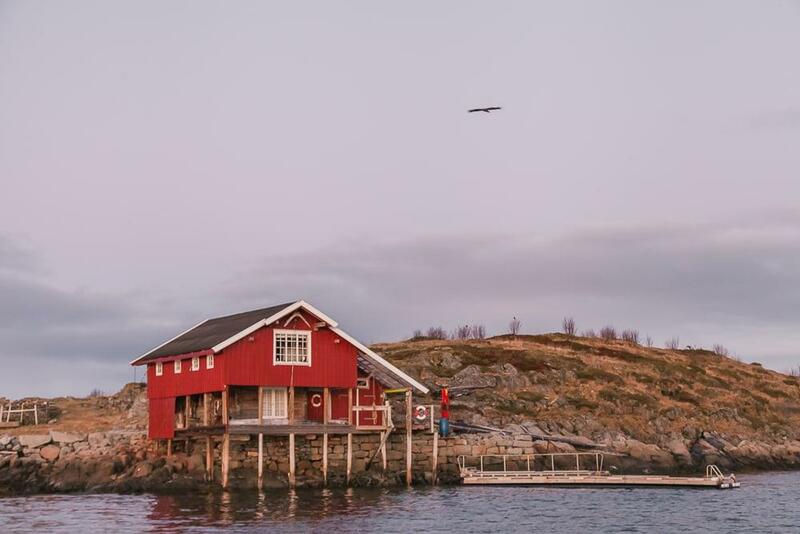 Though you also should check out their restaurant, Børsen Spiseri, which I’m tempted to say is one of the best places to eat in Lofoten, even though I haven’t actually eaten at that many restaurants there so I probably don’t have the authority to judge. But it definitely could be! 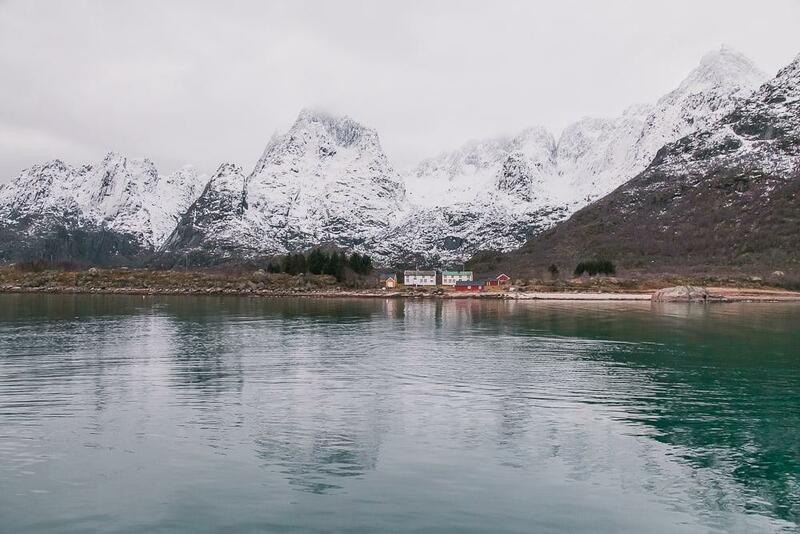 And then since in the winter Lofoten is covered in snow, making hiking tricky, I opted to see the islands by boat on a RIB safari. 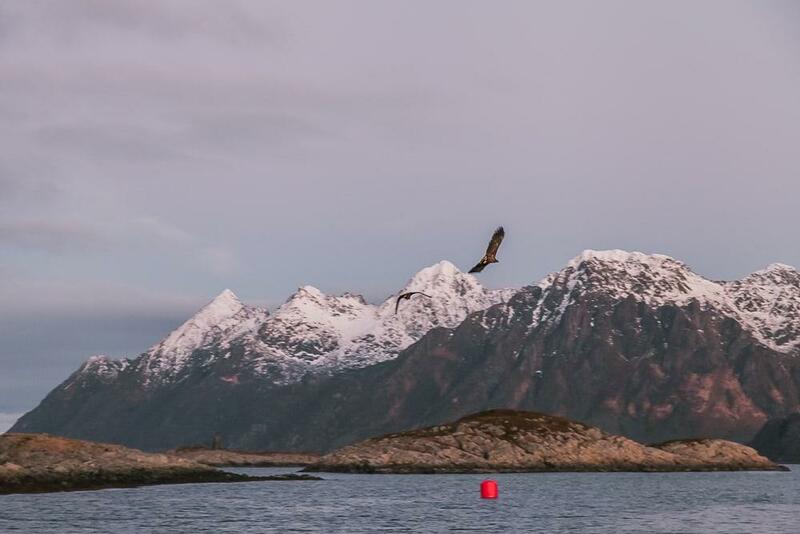 I took Lofoten Explorer’s Trollfjord & Sea Eagle Safari and it’s funny, I was so excited to go into Trollfjord that I sort of forgot about the second part of the safari: the eagles! 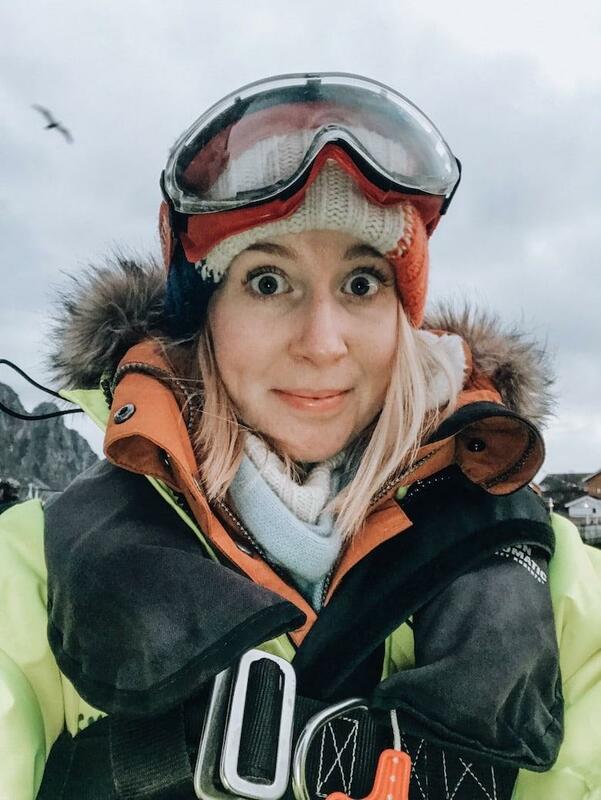 Okay so I was definitely most excited about seeing Trollfjord, as I had heard that the best way to see Lofoten’s more remote views and untouched beaches is by boat. And those views did not disappoint. But the boat excursion ended up barely being about those beautiful landscapes, because we were all too distracted by the giant eagles flying around us! 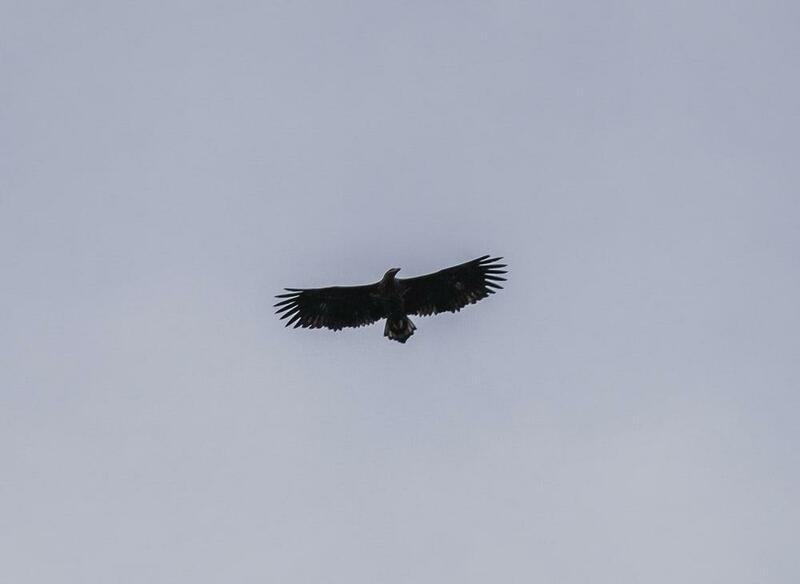 Our guide had a bucket of fish and when an eagle got close he’d throw a piece up for them to catch and fly off with. 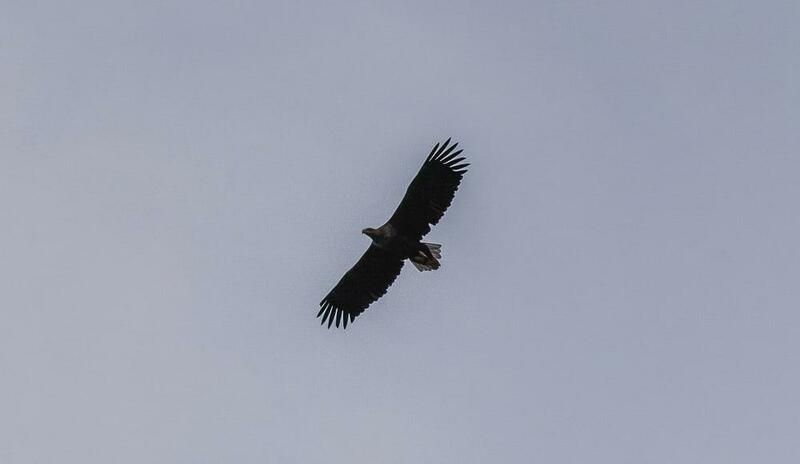 It’s the closest I’ve ever been to eagles – and some of them were huge. 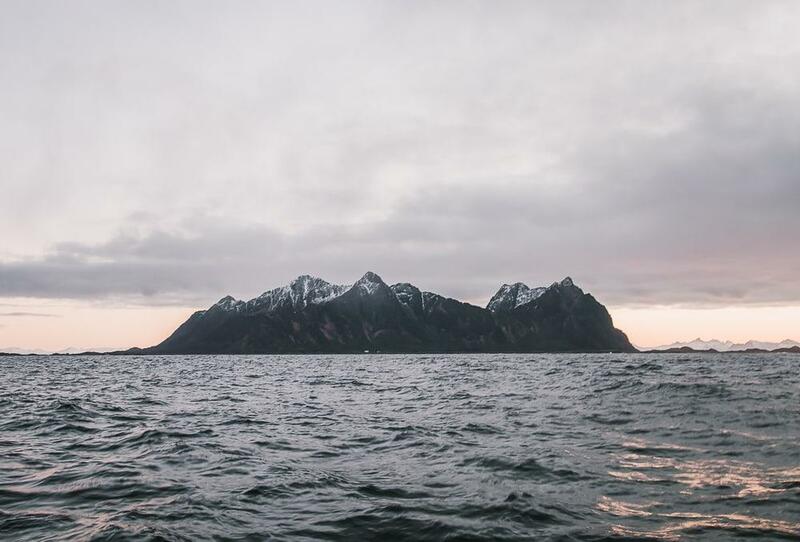 And don’t worry, Lofoten Explorer provides everyone on the boat with warm floating suits and gloves. Though I would recommend wearing a hat without a bobble on top so that you can pull the suit’s hood over it as well. I didn’t really get any great photos because I kept getting too excited to think about my camera, plus while the pretty pink light made a beautiful backdrop for watching the eagles, it wasn’t quite light enough for my camera to capture quickly moving objects. Which reminds me: if you’re considering visiting Lofoten in December you probably have the same concern I did – will there be enough light to see anything in December? I was on Lofoten in mid-December, which is the very darkest time of year, but we still had a solid two hours of daylight, plus another hour where it was at least light enough to see. The sun didn’t rise at all, but instead the sky had those beautiful pink and orange sunset/sunrise colors all day. Like, I just sighed loudly thinking back to it – it was so pretty. In fact, I’ve now visited Lofoten in January, March, June, and December, and I think my favorite times to visit were December and January! The light is so beautiful, there are fewer tourists, and at night I could spot the Northern Lights. 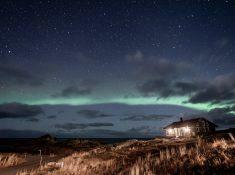 Speaking of the Northern Lights, in the evening I went on an aurora hunt with Lofoten Active. I had actually mentioned this to Eva while I was at Støtt Brygge and her face lit up and she said that Jann Engstad is the best. And she was right. 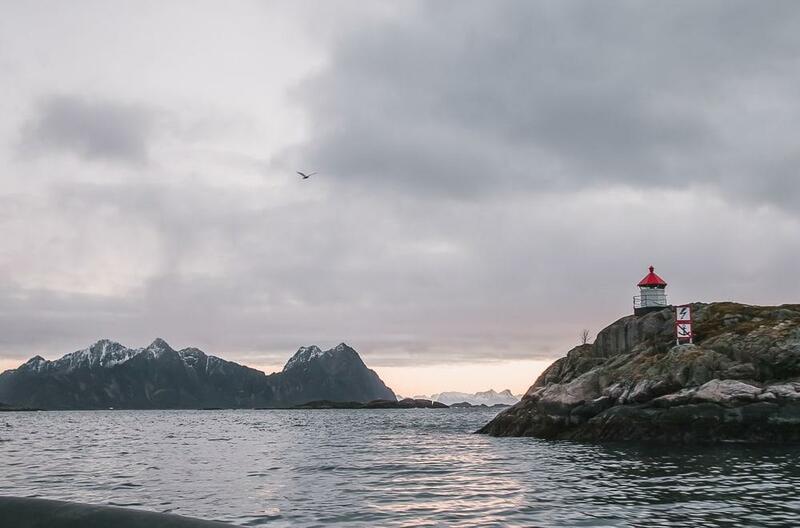 Jann has been working as a guide in Lofoten for over thirty years, and for him sustainable tourism is all about teaching people. So we spent the beginning of the evening in front of his laptop, where he gave the best explanation I’ve heard for what is actually happening when we see the Northern Lights. Like, I had read so much about the aurora in the past and sort of knew that it had something to do with sun particles and magnetic forces, but now I finally actually understand what’s going on. And why does it matter? You can much more effectively chase the Northern Lights if you actually know what’s going on up in the sky. He then showed me the different websites he uses to measure the likelihood of us seeing the aurora, as well as the best spots to look for it. It sort of felt like I was taking a mini training in becoming a Northern Lights tour guide myself – which is good news for any of my friends wanting to visit me in Northern Norway in the winter just saying, guys. 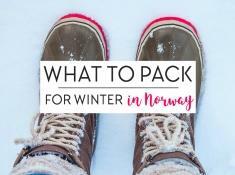 This also means that if you’re coming to Lofoten for several days you could take a Northern Lights chasing tour on your first night and then continue chasing them on your own for the rest of the week with your newfound knowledge. Though of course it was also great going with someone who knows the landscape well enough to know where the weather will change – and who doesn’t mind driving down pitch black roads at night. Because that’s the worst and the best thing about trying to see the Northern Lights in Norway – there’s so much weather caught in our mountains that you’ll really have to work to find clear skies, but the mountains break up the weather so much that if you do work for it you can almost always find some clear skies. 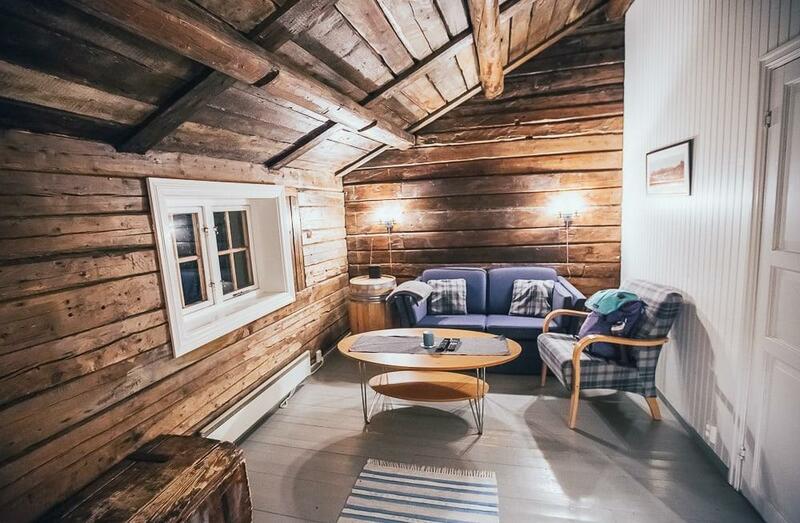 Previous Post: « Bodø in Winter – Is It Worth Visiting? This was December 15th. That’s a hard choice, and I think really depends on what you like. I love winter and Christmas and Norway is a very wintry place over Christmastime, which I think is great. But if you don’t like the cold and dark then maybe June would be better. 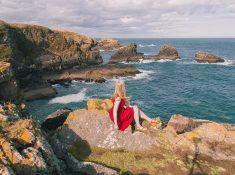 It’s beautiful in June, plus it’s light all day so you have so much more time to explore. Thank you for this blog! We are planning to go there and experience the northern lights. Hopefully in God’s well! We will be there this December. 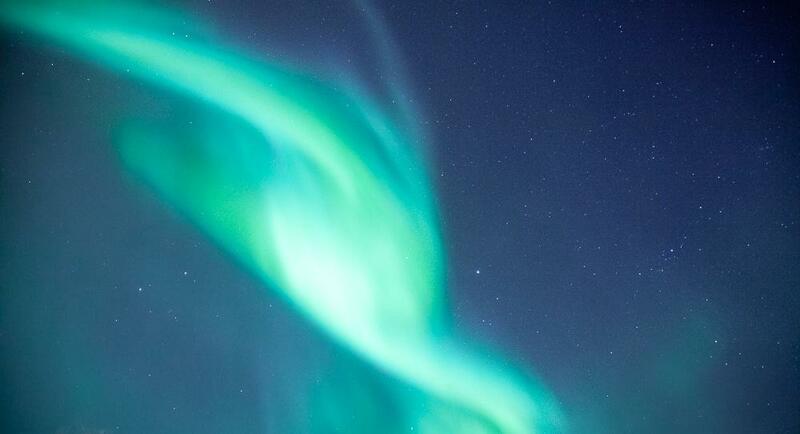 That’s amazing – I hope you get lucky with the northern lights!